As companies continue to incorporate planet-friendly ways to market themselves, another has jumped on the bandwagon. 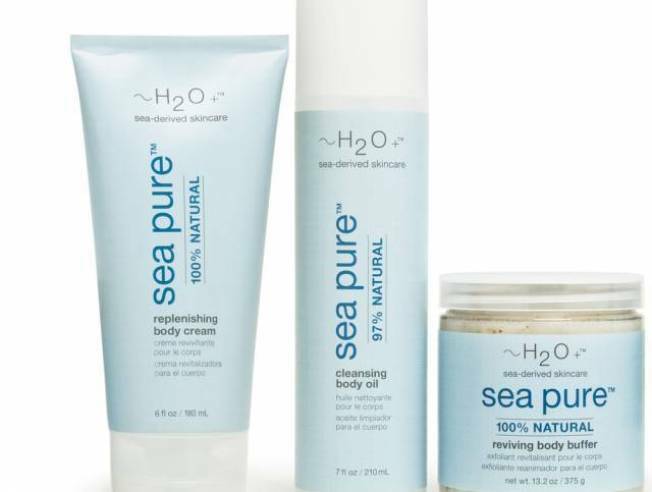 H20 proves there’s a way to treat skin without harsh chemicals with the launch of its new Sea Pure collection. No synthetic fragrances, sulfates, or petrochemicals. And if you have no idea what any of this means we’ll break it down for ya; it’s a good thing. The all-natural products smooth and refine skin using a balance of nature and natural technology, so to speak. The line is made with deep-sea botanicals including sea moss and sea mayweed, plus bamboo and essential citrus oils, which when combined, revitalizes skin. And here’s where the eco-friendly stuff comes into play: The formulas are 100 percent natural, all vegan and completely biodegradable, with no synthetic fragrances or chemicals. Within the new collection you’ll find two sets of products, one set for the face and one for the body; the body products even contain a body mud, which apparently you slather all over yourself from head to toe, and a Finishing Body Silk, which resembles a sheer, emollient-rich oil. We’re thrilled with products that are good for the body and the planet, but we do have just one question; what are we supposed to do while this head-to-toe body mud dries and works its magic, stand in the corner and look pretty? Visit H20 for more information on their new products, or stop by their store on Michigan Ave and try them for yourself. The product will be available mid-October.